Brittni Brinn has been involved in many creative endeavours in Windsor. She has co-hosted the radio show Hardcover: A Literary Podcast and has wrote plays for Paper-Knife Theatre. Her newest project is her debut novel, The Patch Project. The Patch Project is a post-apocalyptic story following a small group of survivors as they navigate their new world and discover their and mysterious powers. The book started off as a short story during Brinn’s undergraduate studies. Brinn is thankful for her post-secondary experience, which pushed her to share her writing after years of keeping her poems and stories private. She also developed an interest for playwriting. “The theatre fascinates me,” said Brinn, who has written four one act plays and a full length play, Runaways, that have been produced in the Windsor and Edmonton areas. Brinn will be taking on a new role as an actor in the upcoming Paper-Knife Theatre production of A Lichen by Stephanie Yee. She will also be directing Yellow Vines, an original thriller by Linda Collard, in June. Brinn’s advice for writers is to make sure you actually enjoy what you’re writing and to tackle the projects you’re passionate about the most. 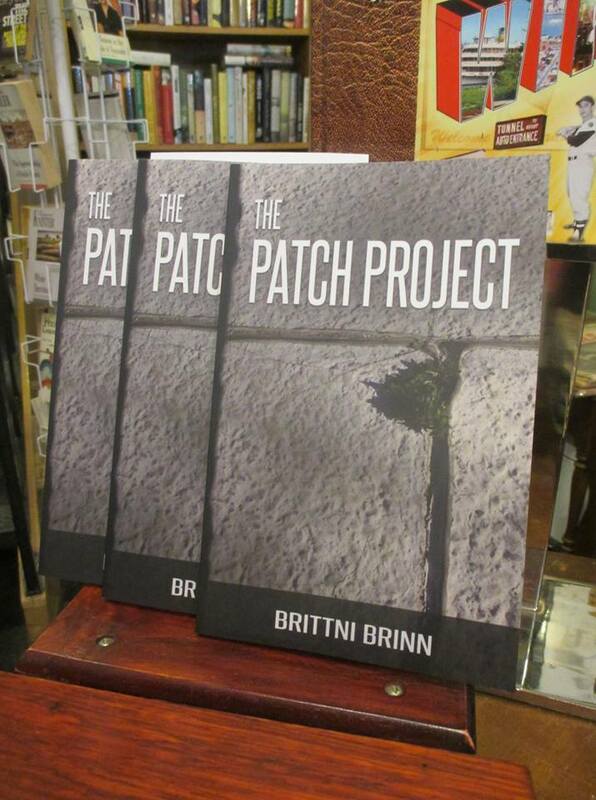 Brittni Brinn will be reading from The Patch Project at the Green Bean Café (2320 Wyandotte Street West) on Wednesday, March 28 from 5:30pm-9:00pm. For more information you can visit the Facebook event page. You can find Brittni Brinn on Facebook (@brittniinink), Twitter (@brittni_in_ink) and Instagram (@brittni_in_ink).